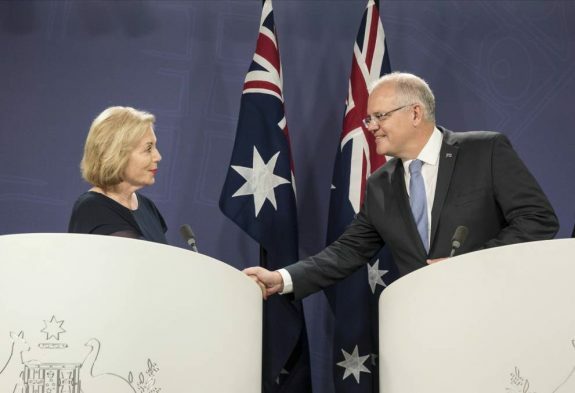 Accompanied by the Liberal Party’s IPA stalwart Mitch Fifield, Morrison approached peak unctuousness as he welcomed Ms Buttrose to the top job. In fact the appointment is a classic example of the dark art of psyops, practiced by this Government’s finest exponent, the Minister for Communications and Arts Mitchell Peter Fifield. I assume most of the readers of The AIM Network know the meaning of psyops, but for the uninitiated it is characterised by this definition: “Psychological operations (PSYOP) convey selected information and indicators to audiences to influence their emotions, motives, and objective reasoning, and ultimately the behaviour of governments, organisations, groups, and individuals”. In September 2018, billboards adorned with kangaroos and pandas began popping up around Australia’s capital cities as part of a $500 million advertising campaign urging viewers to “see the difference” on China’s Central Global Television Network (CGTN) — available on Foxtel and Fetch TV. Cowan MP Anne Aly’s electorate office was targeted overnight with “It’s okay to be white” posters, a slogan she described as a “white supremacist neo-Nazi mantra”. 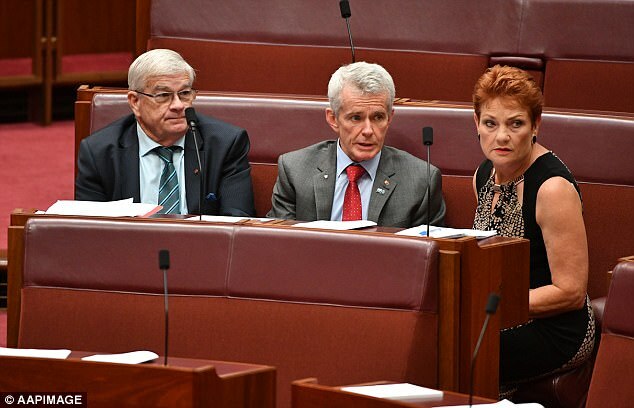 The phrase was at the centre of an embarrassing gaffe by government senators in October when they accidentally voted for a motion proposed by One Nation leader Pauline Hanson to acknowledge “the deplorable rise of anti-white racism and attacks on Western civilisation” and that “it is okay to be white”. Are they going to allow a toxic combination of revenge politics, anti-climate change ideology, panic over the Longman result, and sheer muddle-headedness kill the chance of giving certainty to energy investment and tear down or mortally wound their Prime Minister? 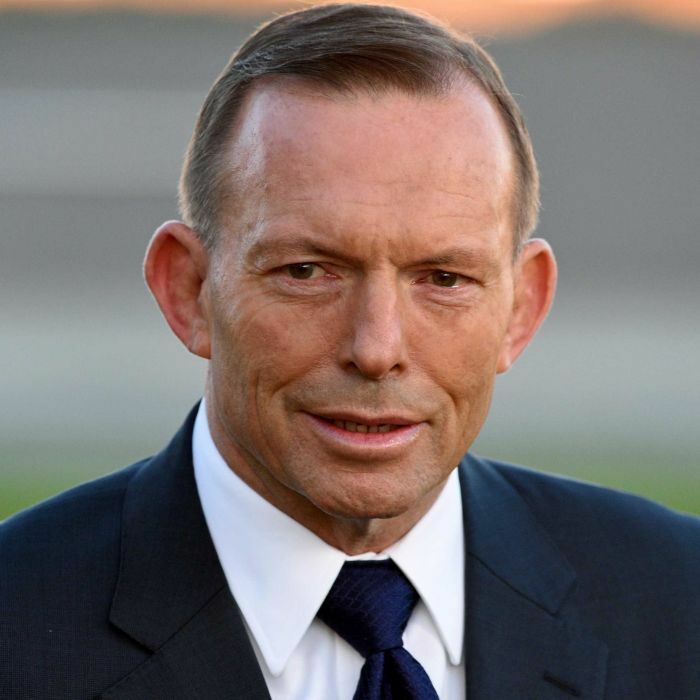 Tony Abbott says “Emissions targets that made sense three years ago when all countries were supposed to be in Paris and we didn’t need policy change and wouldn’t face economic dislocation do not make sense now. @TurnbullMalcolm take note. “This proposed merger means it is about to get even more concentrated,” Ms Rowland said, declaring it “beyond belief” for Senator Fifield to proclaim his government supported media diversity. Australia has a big problem. The democratic processes and freedom of the press is under threat. Not content with having an out of control Murdoch-owned media, the Institute of Public Affairs is now attempting to destroy the only balanced mainstream media outlet in the country: the ABC. This deplorable organisation is made up of some of the wealthiest people in Australia. 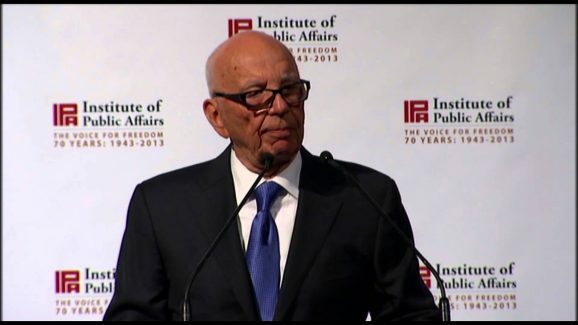 The IPA was founded in 1943 by none other than Rupert Murdoch’s father. 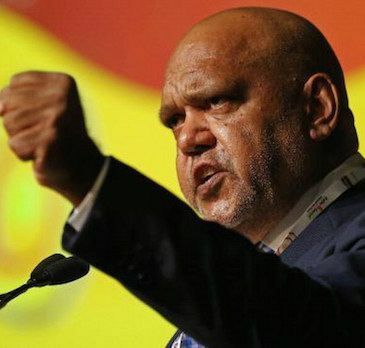 It is a pressure group, and increasingly is now enmeshed into the political system itself, with over a dozen politicians in parliament affiliated with this partisan, extremist group. THE ABC EARNS around $100 million a year from its commercial activities (mainly ABC shops). Its annual operating budget is more than a billion dollars. The organisation would not exist without the triennial funding provided by taxpayers (not by Treasurer Scott Morrison, who this week ludicrously claimed that he funded the ABC). You can’t privatise a business that doesn’t make a profit. So let’s call the demand from last weekend’s Liberal Party conference for what it really is; effectively a proposal to close the ABC and sell off its assets, the prime of which would be its broadcast spectrum. But even that is hardly practical, or likely. Ironically, while the ABC haters with their ideological objections to public broadcasting would like to see it happen, there would be little or no appetite from the commercial television sector for starters. ABC radio and television broadcasts focus on genres that are far removed from commercial output. We have no interest in reality TV formats, chequebook interviews and the music genres of commercial FM – programming that draws the biggest and therefore most lucrative audiences for commercial media. Nor are we in competition for rights to any of the marquee sports events. Instead, we complement the market as the trusted, independent source of Australian conversations, culture and stories. Ms Guthrie cited a forthcoming report by Deloitte Access Economics, commissioned by the ABC, which she said would reveal the broadcaster contributed $1 billion to the national economy last financial year – about a third of which fed into the broader media landscape. In addition to its 4000 employees, the ABC helps to sustain more than 2500 full-time equivalent jobs across the supply chain – such as artists, writers and technicians – Ms Guthrie said, citing the Deloitte research.”Amid the debate over the ABC’s purpose and its funding, we should all remember that there are 2500 jobs outside public broadcasting at risk in any move to curtail our remit and activities,” she warned. Israel not only spreads propaganda but actively tries to interfere with the world’s media that doesn’t report it. It invests in and uses world media like MEMRI TV to put out fake news on their behalf hiding their investment. Mainstream media around the world didn’t express any level outrage in Israel’s massacre NYT actually apologized for under reporting of over 120 Palestinians killed in fact they whitewashed the wounding of 13,000 +, leaving over 300 in intensive care and 27 amputees and Israel isn’t satisfied. How stupid drawing attention to themselves yet again.When no injuries occurred and rockets were fired by both sides. Israel’s agents in Australia have erupted on the behalf of the Zionist state simply because they didn’t get the attention they felt they deserved to make Israel’s actions look justified. OMG you should have heard what the Palestinians were yelling from the death side of that fence in Gaza that alone justified the sniper bullets of death. No Israel through its agents have demanded the attention they think they deserve to justify their fishbowl slaughter. 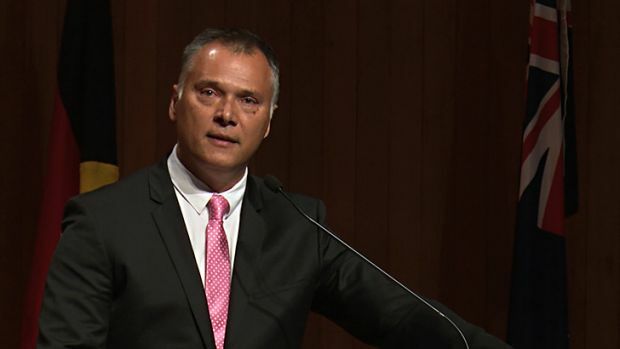 AIJAC executive director Colin Rubenstein said the public broadcaster had exhibited a “serious lack of balance” by declining to cover one of the largest rocket attacks against Israel in many years. 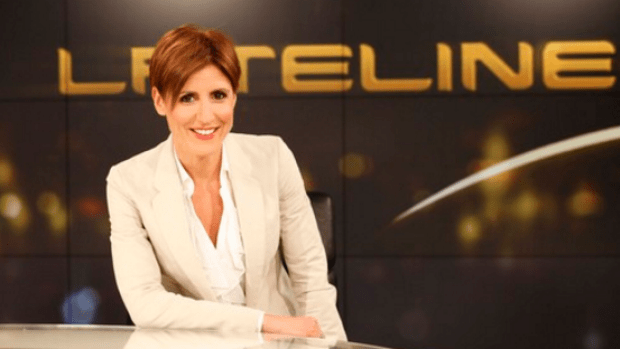 The Turnbull government has lodged a second series of complaints to the ABC about the network’s chief economics correspondent Emma Alberici, this time over her reporting on innovation tax credits. Ostensibly, the competitive neutrality review was payback to Pauline Hanson (and by Hanson) for supporting the changes to media ownership rules last year. But, through The Australian, News Corp has been keen to claim credit, pointing out it came “after media industry leaders demanded a review of the charters outlining the purpose of the ABC and SBS in light of evidence they were ramping up activities that encroached into the commercial sector”. In proposing a freeze over the three years, Australia is following the lead of the New Zealand National government which froze Radio New Zealand funding for eight years, only relenting with a partial increase last year. 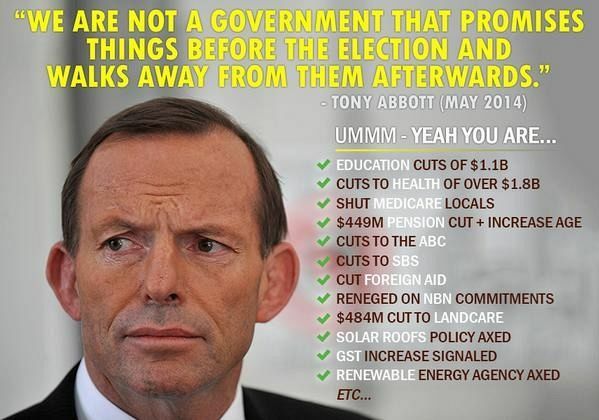 The message is simple: “We’re on your side.” Where “we” is the LNP and “you” is the old media oligopolies. That’s why the message was too urgent to wait until after the election. There’s a message to the ABC in all this as well: leave the emerging digital space to the private sector and, in particular, to the existing private sector players. Of course, in its digital activities, the ABC is not doing anything that couldn’t be done by the free-to-air broadcasters or Foxtel or pretty much anyone with a computer and a broadband connection. However, the traditional oligopolies seem to have the view that their business model would be fine if people couldn’t access the ABC (or, if there wasn’t so dang much of the ABC to access). In that parallel universe, we’d all keep watching the free-to-air channels (topped up by Foxtel for a bit of diversity), just like we did in the good old days. 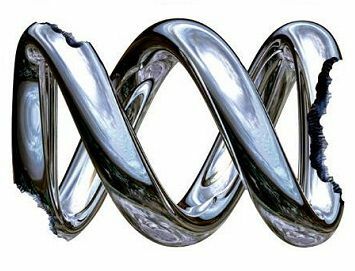 A majority of Australians believe a strong, independent ABC is critical to a healthy democracy and oppose a cut to ABC funding, according to a new poll. The Australia Institute poll found 70% of people wanted a strong ABC and 60% agreed the ABC needed a “boost to long term funding”. PS If Trickle Down is not a questionable Economic proposition then the world is Flat are Australians required to experience Groundhog Day? These are polarising times. There is so much ideological claptrap in journalism, both here and abroad. 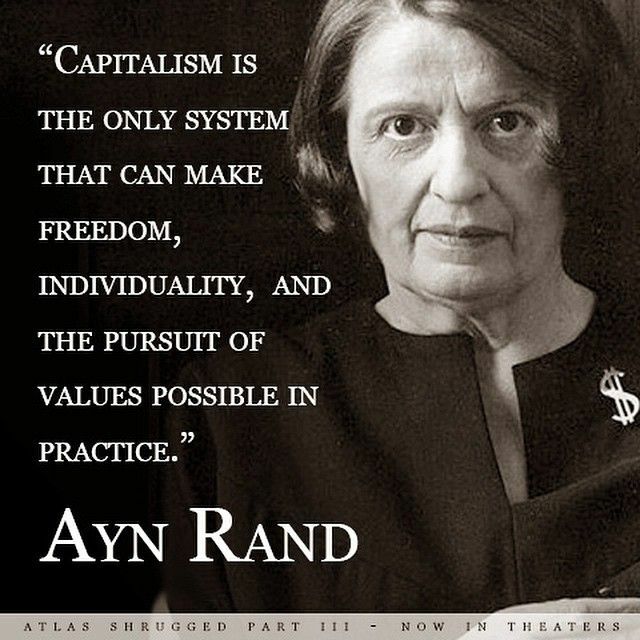 This is especially so in the United States, often cited by Australian conservatives as evidence of the value of tax cuts. 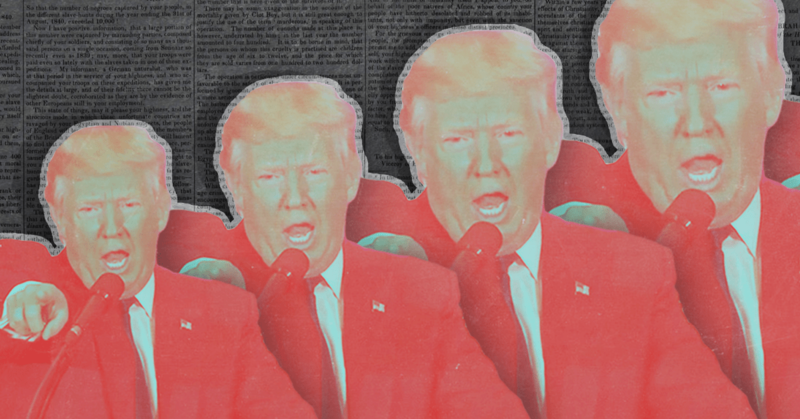 Here, claims made by the Trump Administration to defend its corporate tax cuts are widely disputed by economists, including Larry Summers and Paul Krugman. 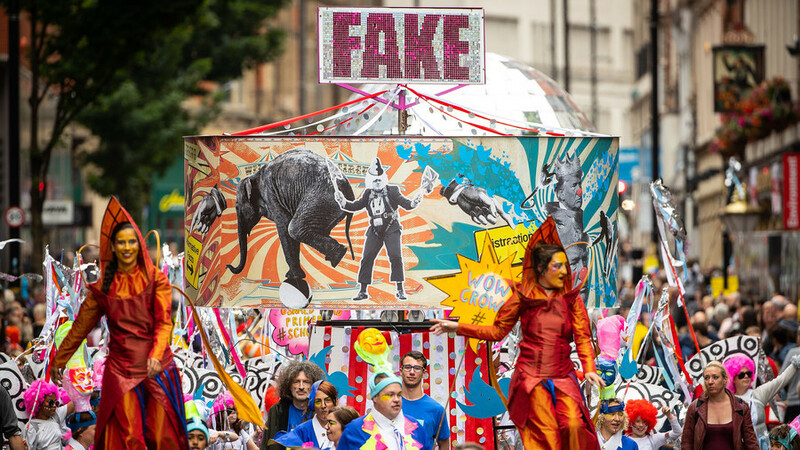 Even within the business community, there is scepticism. Investment guru Warren Buffett is not impressed and even Moody’s rating agency concluded that the cuts would most likely direct tax windfalls into share buyouts and shareholder dividends rather than heightened investment and employment. For these ideologues, the corporate tax issue is not simply one of economic efficiency, but is central to an important reordering of power within society — one which rejects the right of democratic governments to force wealthy individuals to hand over large portions of their wealth to pay for public goods, like welfare, health and education. When you force the ABC to take down an article that questions your logic you know something is wrong. Since when has Turnbull taken on the role of ABC editor? On Friday, the ABC took down Alberici’s analysis, citing that it did not conform to the broadcaster’s editorial standards. Frankly, the article – which has been republished on John Menadue’s blog, is not all that different in focus from analyses by Ian Verrender published by the ABC last year, The Age’s Peter Martin and various others, including myself. Arguing that company tax cuts may not have the impact that the beneficiaries say will result is hardly controversial. As I noted in January, Moody’s credit rating agency said of the US company tax rate cut from 35% to 21% (compared with a reduction from 30% to 25% proposed here) that “we do not expect corporate tax cuts to lead to a meaningful boost in business investment”. But given most people don’t get excited by business investment (or increased business profits), companies here have followed the lead of their US counterparts, and are saying a tax cut is needed to increase wages. It’s all a bit of smoke and mirrors. “Our tendency is to stop seeing ourselves as people striving together to overcome our common problems, and to view ourselves instead as people striving against each other,” he writes. The age of ‘me ‘ has taken over the age of ‘we’. Matter of Fact will be about big minds discussing big ideas: smarter not angrier. George Monbiot is among our first guests. 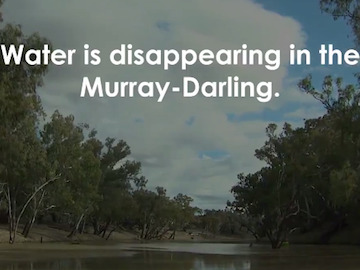 The ABC Four Corners program, Pumped, has uncovered what could be one of the largest known cases of alleged water theft in Australia’s history and evidence that the NSW Government did nothing to stop it.Four Corners has exposed allegations that the NSW Government has failed to prosecute rogue irrigators and may have shut-down active investigations into this water theft. Quentin Dempster says the decision to appoint Vanessa Guthrie to the ABC Board was a ‘direct political choice’. 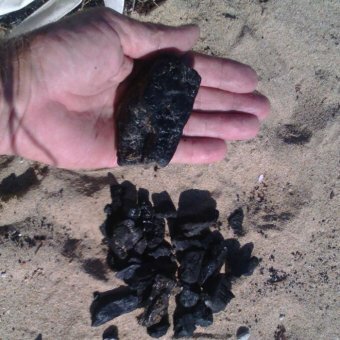 A Queensland Government investigation finds a large spillage of coal from a ship loader at the Port of Hay Point in the state’s north. Alan Austin’s story on the ABC employing rightwing commentator and ABC critic Andrew Bolt was his second in the top ten. 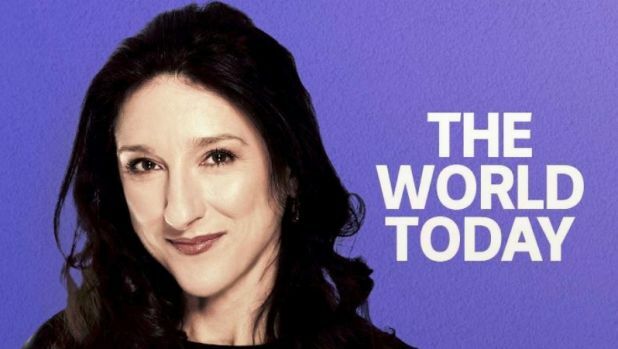 Some of the ABC’s most prominent presenters have urged their colleagues not to resist change. 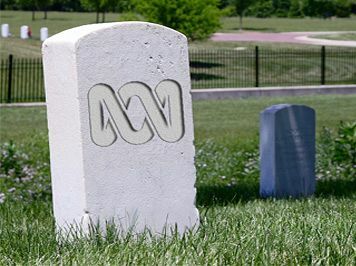 Let’s not rush to criticise the ABC as appeasing Aunty’s political masters and critics will only hasten her demise and the rise of a media Murdochracy. 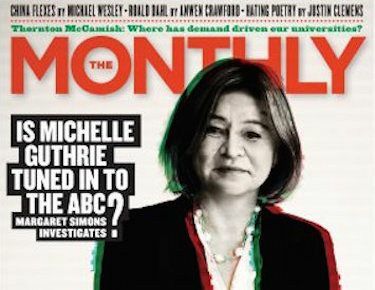 Is Michelle Guthrie remaking the ABC in Murdoch’s image? 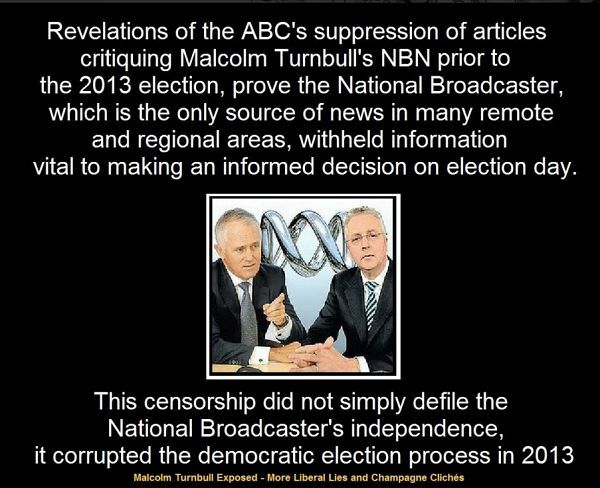 What Michelle Guthrie and her band of redundancy-happy managers are doing to the ABC is a crime against the public interest. Source: Is Michelle Guthrie remaking the ABC in Murdoch’s image? The ABC has axed the Friday broadcast of the 7.30 program just under two years after it replaced the eight state-based editions of the show. In the west, free speech is often seen as a sacred right, but how can that be balanced with the need to protect minorities from hate? Scott Stephens, Waleed Aly and political theologian William Cavanaugh discuss. Malcolm Turnbull is happy to send children to concentration camps and happily interferes in the ABC. 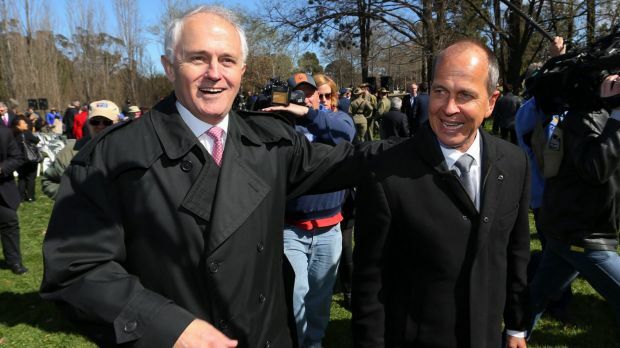 Australia, meet the new boss — just like the old boss, except shinier. The ABC is hopeful the instillation of Malcolm Turnbull as Prime Minister will allow it to claw back some of the $250 million slashed from the broadcaster last year as tension between the government and broadcaster cools off. 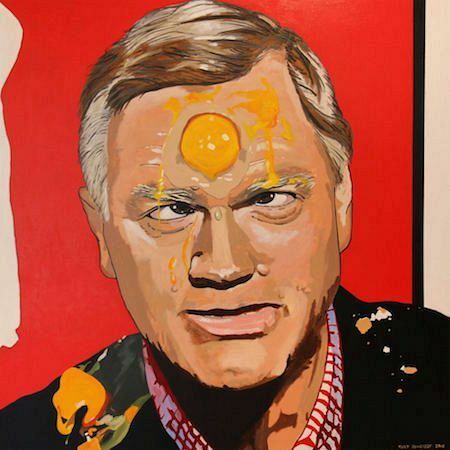 Media Bias of the ABC never mentioned by Andrew Bolt Why Abbott is trailing in the polls despite his successes . The Abbott Government has a far better record than its Labor predecessor, but in politics these days successes don’t make up for mistakes. The Prime Minister needs a year of clear air. A furious Tony Abbott has told the ABC he will personally turn off its Twitter at the wall if the national broadcaster doesn’t bring its flagship show Q&A into line. The demand comes following last night’s show during which a tweet by @AbbottLovesAnal briefly appeared on screen. 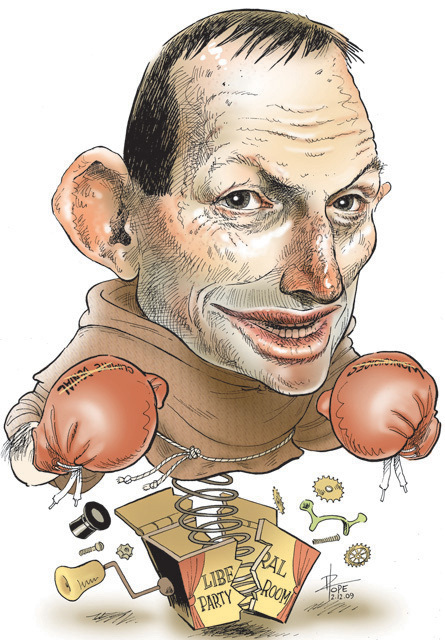 “Either you turn it off, or I’ll do it for you,” Mr Abbott is believed to have told ABC staff. The PM was also concerned about the cost producing so many tweets. 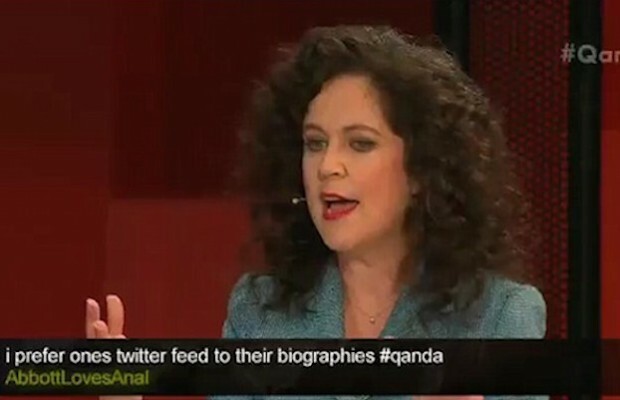 “I’m told Q&A now produces 40,000 tweets per episode. Someone has to pay for that – we need to draw the line somewhere”. After a terse phone call from Communications Minister Malcolm Turnbull, the ABC has agreed to remove the offending tweet from repeats of the episode, to ensure those who watched the live broadcast are the only people to see the tweet. 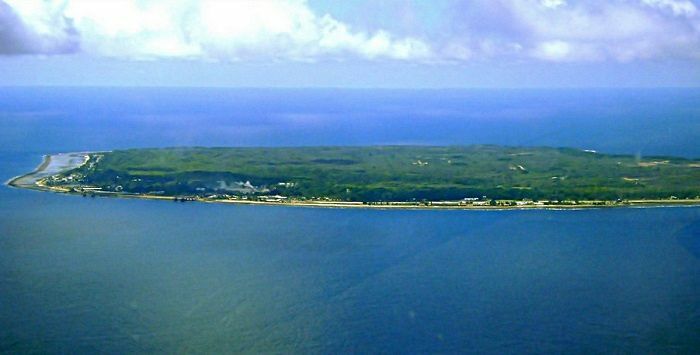 “I think through our swift actions we’ve managed to stop this from growing further,” a Government spokesperson said. For breaking stories, follow The Shovel on Facebook and Twitter. Or sign up for email updates below. 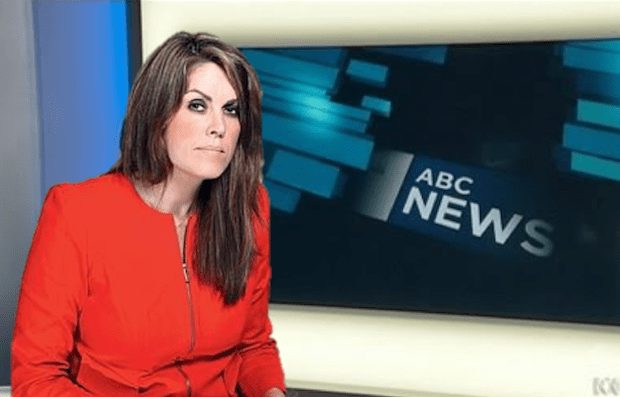 The Prime Minister’s Chief of Staff Peta Credlin will present the ABC’s seven o’clock bulletin from next week, in a move designed to ensure Australians hear the right news. Ms Credlin – who will take on the role in addition to her existing responsibilities – has extensive media experience and is seen as having a better grasp than her predecessors of the types of stories Australians should hear. “She’s got her finger on the pulse, that’s for sure,” one colleague said of Ms Credlin today, noting that she had an uncanny knack of getting wind of the most important stories of the day before anyone else. “The issues she’s talking about today will be the ones our politicians will be talking about tomorrow. The ABC will really set the agenda with Credlin behind the desk,” the colleague said. A senior ABC executive said it was a positive step for the national broadcaster, and part of the ABC’s vision to appeal to a broader range of Australian MPs. “I think it’s true that we have become a bit niche. I think it’s true that we’ve been slow to modernise. And I think it’s fair to say we’ve lost sight of what Australian Governments in the 21st Century want from their news”.